2draw.net - boards - Beginner - Roytje's Birthday! YUMMY CAKE...I'll take one piece w/ice cream, please! 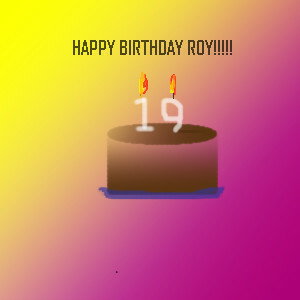 HAPPY BIRTHDAY, ROYTJE!! :D! Thank alot for the oekaki, Dave! That's a very nice chocolate cake! Happy Birthday to a fabulous landscaper. And the maker of my wallpapers.